Changpeng Zhao, the CEO of Binance better recognized as CZ, believes crypto still has room to grow aggressively in the years to come as major cryptocurrencies like bitcoin and ethereum reach mainstream adoption. “Crypto will absolutely grow 1000x and more!’ he said last month. He believes the bull market is just around the corner. “I think that any minute the bull market will return, and historically, October to December are the good months. Before Christmas are usually the months when the markets go up very often, but I am not saying that it will this year, or that it will not”, he said in an interview with Crypto Globe. Zhao confessed he is a “hodler” rather than a trader. “I never trade myself. I always buy and hold”. “I’m convinced 100 percent that crypto is the future”, Zhao told Bloomberg earlier this year. “I just know it will happen”. CZ plans to turn Binance Coin (BNB) into a payment token. He hopes BNB will become an asset of choice for retail users and believes that an independent blockchain will make it suitable for an everyday user to purchase goods and services. “Right now, BNB is still an ERC 20 token, which will incur relatively expensive network transfer fees. When the Binance Chain comes out, the network fees will be cheaper, and faster. We probably will go for 1-second blocks, which should make it very suitable for retail, in addition to being a decentralized exchange”, Zhao told Crypto Briefing. Changpeng Zhao, who goes by CZ, is founder and CEO of Binance, a cryptocurrency exchange that became the largest on the planet in just under 180 days. Zhao, 41, was previously a member of the team that developed Blockchain.info and also served as chief technology officer of OKCoin. His current net worth is estimated at $1.4 billion. Born in China, Zhao moved to Vancouver, Canada, in the late 1980s. As a teenager in Vancouver, CZ pitched in to cover the household expenses, flipping burgers at McDonald's and working overnight shifts at a gas station. Zhao attended McGill University in Montreal, Canada, where he majored in computer science. He then spent time in both Tokyo and New York, first building a system for matching trade orders on the Tokyo Stock Exchange and then at Bloomberg Tradebook where he developed software for futures trading. In 2005 he quit and moved to Shanghai to start his Fusion Systems, a company known for building some of the fastest high-frequency trading systems for brokers. In 2013 he learned about Bitcoin and joined Blockchain.info as the third member of the cryptocurrency wallet’s team, where he worked closely with Bitcoin evangelists like Roger Ver and Ben Reeves. He also worked at OKCoin as chief technology officer for less than a year. In 2017 he left the project to start the Binance crypto exchange. He launched the company in July 2017, following a $15 million funding raised through an ICO. In February 2018, Forbes Magazine placed him third on their list of The Richest People In Cryptocurrency. Launched in July 2017, Binance is currently the world’s largest cryptocurrency exchange. The company was originally founded in Hong Kong but was forced to move its offices to Japan after the Chinese government banned cryptocurrency trading in September 2017. According to Changpeng Zhao, the profit of Binance in the first three months since its inception amounted to $7,500,000. In the 2nd quarter, its profit increased to $200,000,000, and the 3rd quarter is still in progress with expected further growth. With a current daily turnover of $486,709,598, Binance has listed more than 300 coins and its certified matching engine is capable of processing 1,400,000 orders per second making Binance one of the fastest exchanges on the market today. The service raised $15 million dollars in July 2017 for the Initial Coin Offering (ICO) of its ERC20 BNB token. Users on the Binance Exchange can receive a 50% discount on trading fees by paying with the BNB token. There are two options for trading platforms on Binance: Basic and Advanced. The main difference between the two versions is that the advanced one offers more in-depth technical analysis of digital currency value over time. The basic dashboard has several charts and graphs including the order books, a candlestick chart, and its trade history. To use the exchange, users will first have to create an account. The account does not need to be verified for level 1, which is a 2BTC daily withdrawal limit. For level 2, which allows up to 100 BTC per day, users need to upload a photo ID and wait for approval. To begin trading, users first need to fund their account. To do so they have to click on the “Deposits Withdrawals” link under the “Funds” tab and on the “Deposits and Withdrawals” page to choose the cryptocurrency they’d like to fund the account with and click “Deposit.” Once the account has been financed, one can start investing. 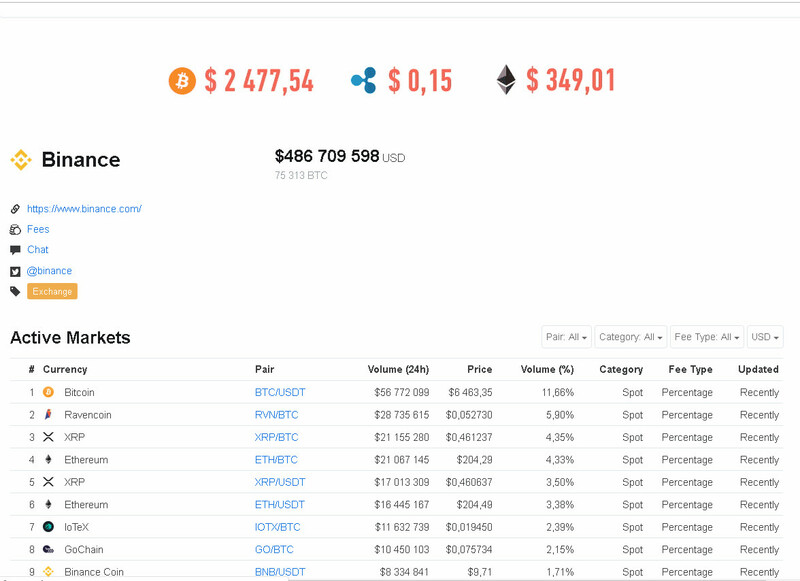 Binance has a vast selection of coins with pairings connected to Bitcoin, Ethereum, Tether, and Binance Coin with currently over 300 coins available on the exchange. Binance also supports numerous tokens as part of ICO listings. The exchange is very quick to add new coins and tokens after their ICO, which usually means they can be purchased cheaply and generate a greater profit. The platform has a team dedicated to reviewing applications for new tokens to list on Binance and provides guidelines for those willing to list a new token. 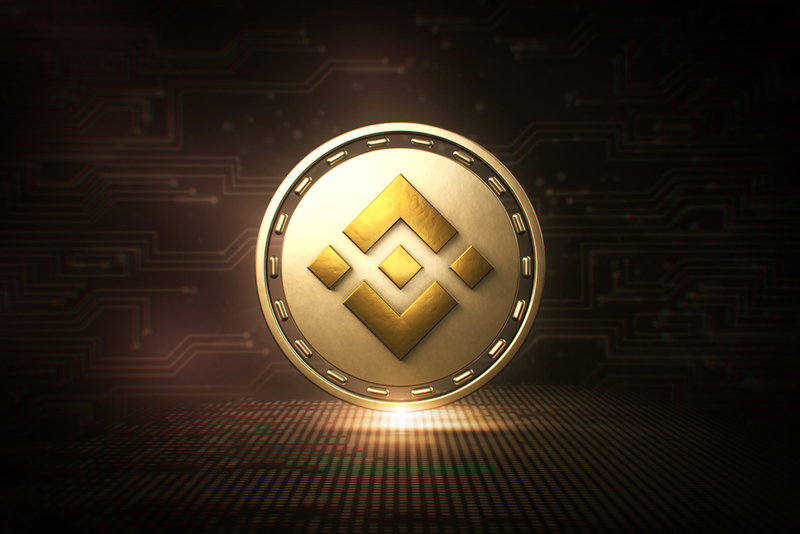 Binance raised $15 million dollars in July 2017 for an Initial Coin Offering (ICO) of its Binance Coin (BNB). BNB runs natively on the ethereum blockchain and follows the ERC20 token standard. With a total market cap of $1,271,351,530 and a daily trading volume of $22,142,753, the BNB coin is currently ranked 14th on CoinMarketCap.com. The price of BNB stands at $9.7. The BNB token itself has multiple forms of utility, essentially being the underlying gas that powers the Binance ecosystem. BNB can be used to pay for trading fees on the exchange obtaining the equivalent of a 50% discount on trades (during the first year). BNB can be used to pay for any fees on the platform, including but not limited to: Exchange fees, listing fees, and any other fee.